RiverRidge has been praised at the annual Sustainable Ireland Awards for its commitment to waste management and environmental excellence for a third year in succession. 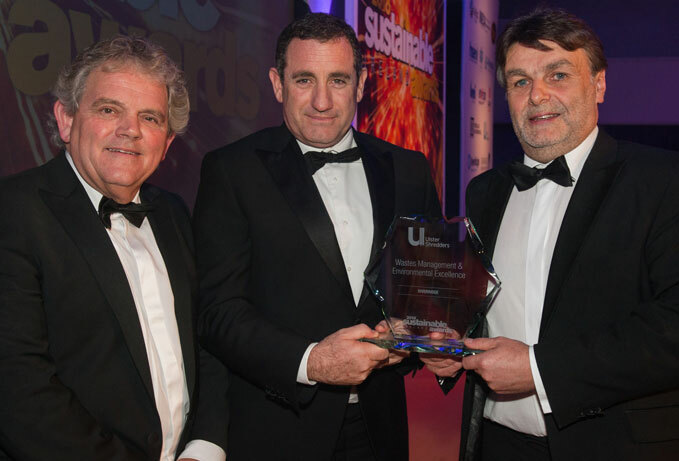 The award, sponsored by Ulster Shedders, recognises excellence within the resource and waste management industry, through best practice and innovation across a range of commercial and public sectors. Pictured are (from left to right) compere of the evening Adrian Logan, CEO of RiverRidge, Brett Ross and Managing Director of Ulster Shredders, Elliot Martin.